When I was little, my dad sent me to have one-on-one piano lessons with Yamaha Music. He even bought me a Kawai piano! It was never easy to even pass a grade one practical because it involved so much more than just getting the notes and tempo right. But, I passed! However, I realized it was not my passion and interest so I stopped after the 2nd grade. Oops! Well, my interest was elsewhere. 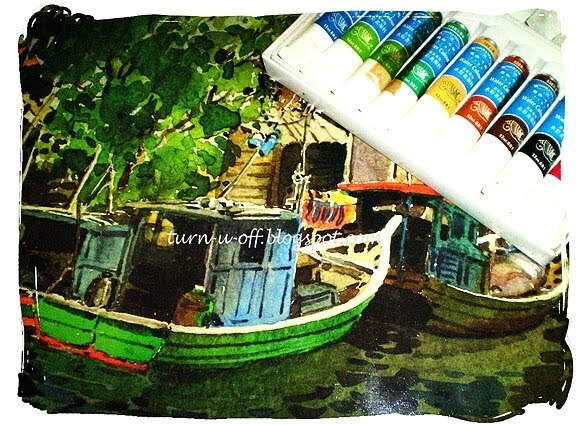 I loved watercolor painting so much! So he sent me to have art lessons with a famous art teacher in Tawau for five years! He has been super supportive of my interest in art and he encouraged me to develop my own style of art. However, I have stopped painting ever since I moved to KL. Ralph saw my artworks and he hoped I could continue to paint. He even bought me art supplies from an Arts and Crafts store that offers a broad assortment of craft and activity products! 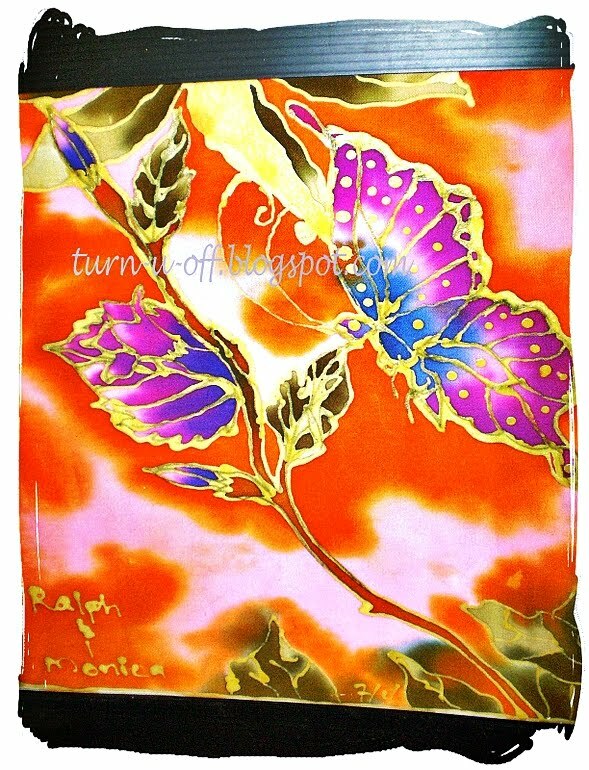 My interest in art continued and I developed a strong interest in batik painting as well! 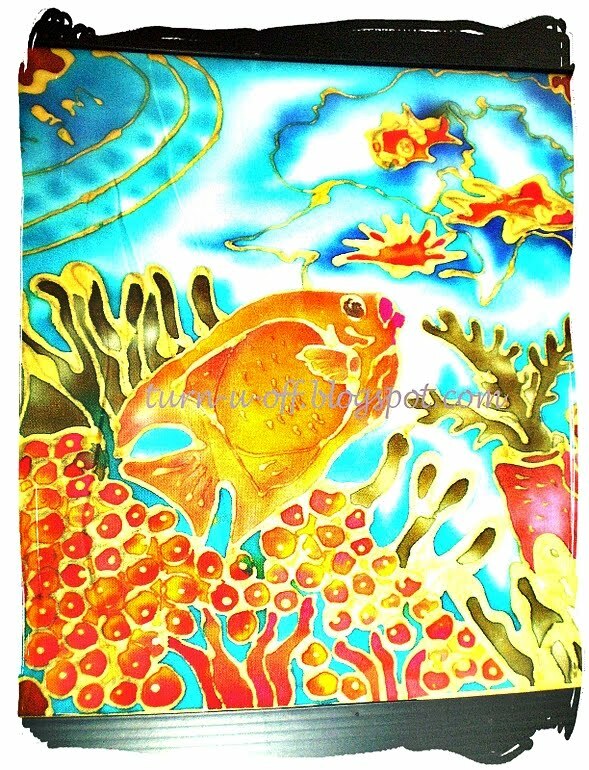 Below are some of my collections of batik creations painted by myself. I enjoy what I have done and I remember how I felt looking at my finished art work! *put a chenille floor mat around my work, sit down with a cup of coffee, and look at all the good things I have done* LOL! I'm not much of an artist, but I think your works are very impressive. Recent blog post: How Can I Resist? hahaha...my talent is so well hidden that I almost can't find it! we had the same path Mon, did piano as a kid but it ended around grade 3 i guess when the teacher stopped the lessons. After that I pursued arts, joined several competitions and school activities. Nothing big. I hope you'll continue painting, you have such a great talent. I love your paintings! So impressive!! Oh Monica.. today i am learning something new about you. Tepuk Tangan. Yeah such hidden talents - Double Combo - Paintings and Batik Paintings. Congrats. You should start doing more paintings on post em here. Mon is up! Woosh woosh Mon! Recent blog post: anime: hellsing ultimate OAV (ヘルシング)..
wow mon!!! i'm with ane! i can't draw to save my life!! i'm the worst person to have in your team if you decide to play pictionary or something like that! LOL! your creations are spectacular mon!! :) I on the other hand, have this crazy dream of wanting to learn to play the piano since forever.. so i will be taking lessons soon.. :-[ :-[ :-[ :-[ :-[ don't laugh ah.. LOL! Recent blog post: I Dreamed A Dream..
you are an awesome artist and you should have your own gallery by now! :-D :-D despite being a leftie, i feel like don't do justice for all the creative left handers.. LOL! Wow, you have some talent there Monica. I agree with Ralph, you should continue to paint. Wow Monica, very beautiful artworks! Really like them. When I have free time, I like to paint in glass, it relaxes me. oh did u regret wz the decision u made to stop taking piano lessons Ayie? have a fabulous weekend dear. high five Tekkaus! hmmm why the interest has slowed down? Hahahahha I oso wan to tepuk tangan with Rizal! Watching DH now Mon, S5! Monica! Just sent u 2000 ECs! Woo hoo OKB! I think your art is good! you should continue doing what you love! For me, I love playing the piano! So I play on it day and night! Haha! Juz kidding! Learn in Yamaha but buy a Kawai piano? Haha! Should buy Yamaha piano right? I have nominated you for two awards. 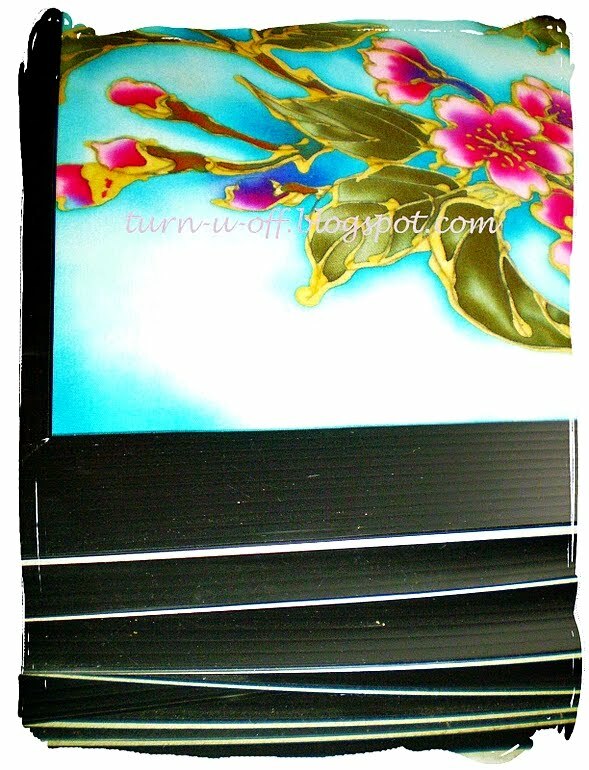 Please drop by my blog to grab them. Sorry I am so late getting over. We have had an incredibly busy day!! Walter is set to leave tomorrow and we just got a call concerning his sister while out to dinner. She is going into her final stages and has begun Agonal (SO) breathing. Gagay will know what it means. So now we are sort of stuck and don;t know what to do. At first they said 2 days and then 2 months and now this! !